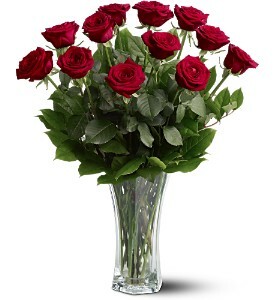 in a clear glass vase. 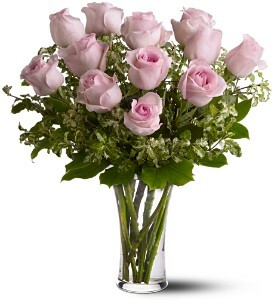 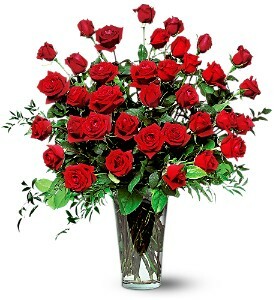 Thirty six vased long stem roses. 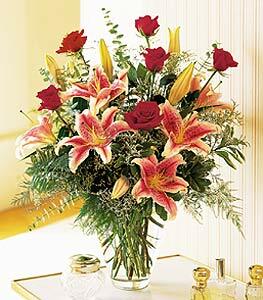 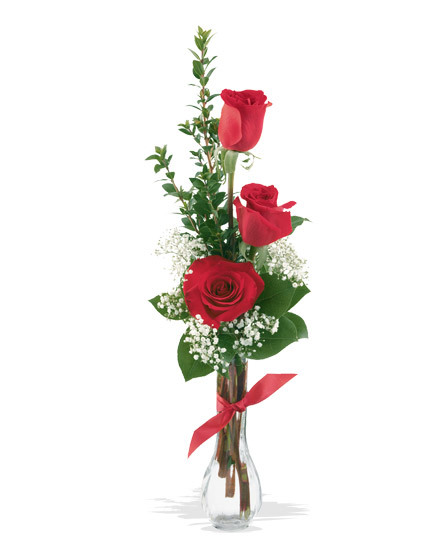 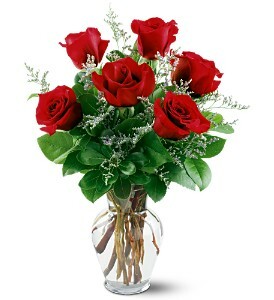 Six red long stem roses in a glass vase. 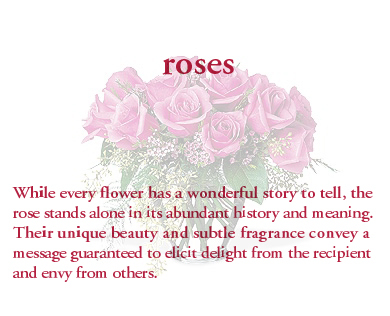 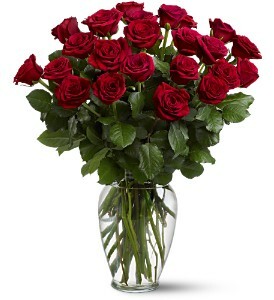 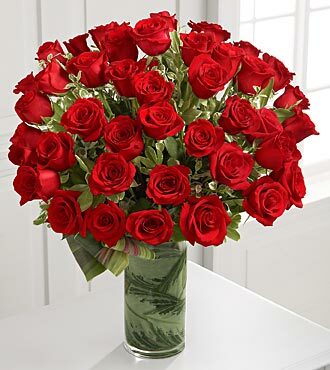 Four dozen red long stem roses in a glass vase.